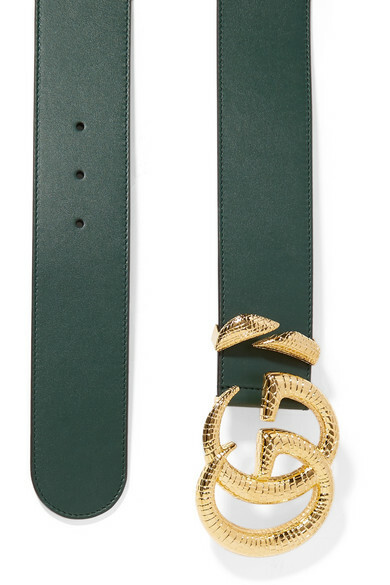 Designed be worn on the waist, Gucci's wide belt has been made in Italy from smooth leather in a deep green shade. It's detailed with the house's iconic gold 'GG' plaque, this time with scored markings. Fasten it around a printed mini dress or a tailored blazer.